According to science, 15 minutes of laughter a day will burn 10 to 40 calories. Step aside Fitness First – Brisbane Comedy Festival is back and coming for your gig from February 22- March 24. With a massive cohort of comedians on show across five venues, you’re going to need sustenance for your workout! We’ve gathered a list of the top places to stock up on protein (fried chicken) and hydrate (beer) within walking distance to the show! Sit down to some antipasti, tempura zucchini flowers, and a spritz before your stand up at this modern Italian restaurant nestled on the beautiful banks of the Brisbane River. Heckle back at your hunger with duck pancakes, chilli pepper squid, and haloumi sticks before strolling down to your show. Don’t let your feast become a one-liner at Fat Noodle – indulge yourself with Peking duck wraps, whole fried fish, and (arguably) the best fried rice in town. You’ll be chirping before crossing the road to your show, with Goldfinch’s Mediterranean-inspired menu and easy, breezy, beautiful interior. Dig in to charred Mooloolaba prawns with nduja, wood-fired flatbread with dukkah, and Fremantle octopus with green olive and chorizo! 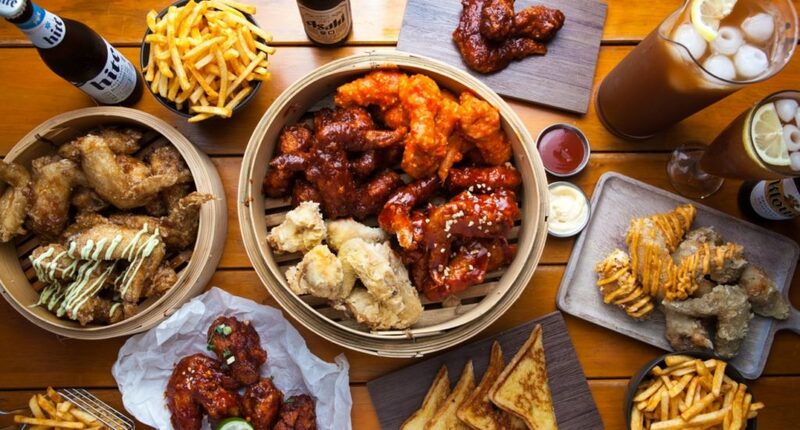 Soft shell crab bao buns, okonomiyaki loaded fries, chorizo and parmesan arancini – this suburban fave is sure to put a smile on your face with their globally-influenced menu of irresistible bites! Laughter is good for the soul, and so is a chicken katsu curry from Seoul Bistro. Known for their crispy chicken and wok-fried rice/noodle dishes inspired by Korean and Japanese flavours, this one’s a favourite that’ll have you laughing all the way home. Snacking is no joke- start the fun with Asian-style sticky wings, vegetable bhajis, and parmesan polenta bites at this Paddington fave; it’s perfectly positioned for an easy roll down the hill to your show! Wet your pre-show whistle at Hope & Anchor, where ham hock and pea arancini, stuffed baby squid, and barbecue beef ribs await to steer you towards an all-around joyful night. If you thought the comedy fest was the main attraction, you haven’t seen Hello Gorgeous. Sip on inspired cocktails to get you feeling giggly, and explore the menu with plates like stuffed chilli crab, barbecued baby octopus, and spiced haloumi chips. 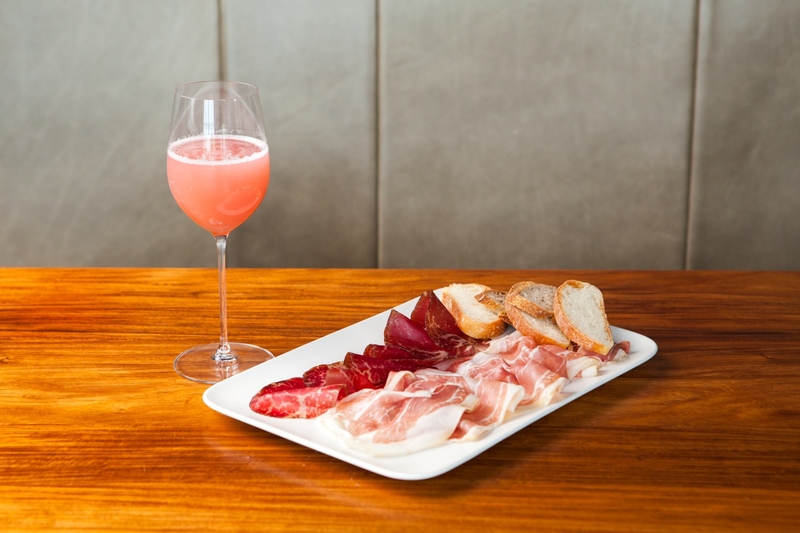 Treat yourself with cocktails and bites at e’cco’s little sister, The Terrace! Sip on a Beijing Bellini and nibble on master stock pork ribs, chicken karaage milk buns, and fancy prawn toast, and you’ll be laughing. Ready to laugh your way to a toned set of abs?